When Chris Thorpe performed his one-man show Status at the 2018 Edinburgh Fringe, he claimed, provocatively, it wasn’t about Brexit. Now, as the withdrawal date draws ever nearer, the Fringe First-winning, globe-spanning show about how we acquire our national identity, and what happens when we try to escape it, confronts head on the guilt, alienation and identity crisis experienced in response to the biggest political upheaval of the Century. Status reunites Chris Thorpe with director Rachel Chavkin, his collaborator on the hugely acclaimed Confirmation, which won a Fringe First at the 2014 Edinburgh Fringe before touring nationally and internationally. The second in what will eventually be a trilogy of plays examining the intersection between our individual humanity and our politics, Status takes as its starting point the UK Prime Minister’s assertion that ‘if you believe you are a citizen of the world, you are a citizen of nowhere’, and attempts to show that feeling like a citizen of the world and having a specific national identity, are not mutually exclusive. Departing in style and subject matter from Confirmation, Chris and Rachel draw on globe-spanning conversations, from people who have found themselves stateless, to those for whom national identity is a defining characteristic, incorporating songs as well as stories into the performance. 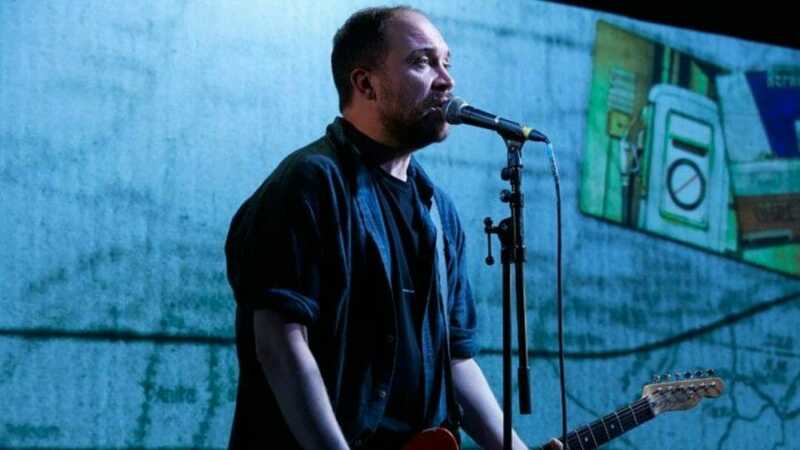 Performed once more by Chris himself, Status is about the impulse to escape national identity, and whether that impulse – for those privileged enough to consider it – is a useful one, or a rejection of responsibility open only to the few. Status has been developed with an intercultural creative team from Germany and the UK, rehearsed in both countries and has resulted in both a UK version and a German language adaptation.